Are you looking forward for a holiday retreat? Is your body asking for a healthy transformation? Reconnecting with Nature? Recharge your batteries? Then carry on reading because we have prepared a selection of four detox trips destinations just one flight away from Melbourne. Gwinganna Lifestyle Retreat stands apart as the wellness destination to soothe your soul and inspire you to live a healthier life. 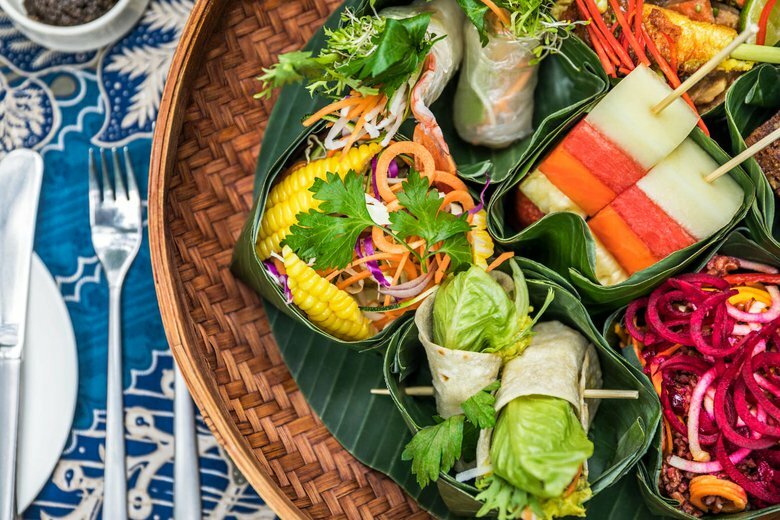 A stay here combines organic living, spa, movement and relaxation with delicious organic cuisine and vital wellness seminars. Recognised as one of the most innovative wellness destinations, an Australia's award-winning Eco Tourism, named Eco Spa of the Year 2018. It is a certified wellness retreat and spa in Queensland's Gold Coast hinterland of 200 hectares. Kookaburra’s fly from treetop to treetop, laughing, while we stretch our bodies on the green lawn. The slow warming movements of tai chi wake us gently, as the sun rises up from the sea far below. This is a typical morning at Gwinganna, but it feels like a dream. The air is crisp and clean, the sounds of nature are soothing to the soul, and the knowledge that a hot breakfast awaits is delicious motivation for dragging a weary body out of a comfy bed! How long has it been since we’ve had our days structured for out best care? How long since someone lovingly cooked all our meals (without the dreaded question…”what should we do for dinner?”). How long since we ate lavishly, and felt great about it? Eating in the lovely open pavilion style dining room, knowing each bite is beautiful, organic, locally grown food (mostly grown on site by the amazingly knowledgeable and passionate gardener) is a joy. Then there’s the walking, in the lush 500 acres, wonderful yoga and exercise classes, well-being seminars and decadent spa centre and treatments. Each afternoon we are encouraged to wind down…it’s not called ‘nap time’ here, it’s called ‘dreamtime’! A perfect time to rest, reflect, wander or indulge…all guilt free of course! Gwinganna is a wellness oasis maintained by healthy boundaries. The Detox retreat package is specifically designed to assist you during any retire from the world in a beautifully isolated environment. There is a no caffeine, alcohol, cigarettes, carbohydrates, sugar or dairy policy. Also, you can be in total technology detox, no phone to distract you, no computer to keep you busy. I might sound hard, but you will leave a changed person, which can only be a good thing. The daily routine at Gwinganna focuses on slowing down both the mind and the body. The day starts and finishes early, waking up for sunrise to practice Chigoong, after a walk in the nature savour an organic wholefood, gluten-free, sugar-free breakfast. Afterwards you can practice yoga, pilates, dance or swimming, then enjoy wellness lectures in the afternoon. Along with time to relax in the spa, sleep or read. You could choose between exclusive spa treatments, like Rockupuncture, a treatment combing hot stone massage and acupuncture, created for Gwinganna by Keri Krieger. Or Zero Balancing treatment with Andy Kidd, which is a gentle yet powerful system that balances energy in the deepest tissues of the body, the bones and ligaments. The popular 7 nights Detox package includes: 2 classic massages, 1 balancing facial, $100 wellness therapy credit, all organic meals, snacks and beverages, 6 key wellness seminars, 3 bonus specialty presentations, cooking demonstration, evening meditation sessions, wellness consultation, access to all facilities and scheduled activities, bonus activities such as labyrinth walk and complimentary transfers from Gold Coast Airport at set times. Highly recommended for individuals needing a complete break from society. Gaia means spirit of Mother Earth, it will seduce you with its endless spectacular vistas and sustainable design. The benefits of detoxing and cleansing your body from the inside out can do a lot more than simply improve your digestion and remove unhealthy toxins. It literally can make you feel more vital, alive and energised with sparkling eyes, glowing skin and a happier zest for life. Gaia’s exceptional team of wellness professionals offer sage advice and a diverse range of inspiring revitalising activities and services for you to enjoy. Your program will be personally created for you with a comprehensive Naturopathic Assessment, considering your current state of wellbeing, any health challenges you may have, your lifestyle and your goals. The wellness retreat is located on a secluded area, the grounds around the property are stunning to enjoy a walk, also there is very little pollution, so it is the perfect excuse to enjoy a walk at night for stargazing, you might be able to see the milky way in the coldest months. Meals are delicious and healthy, is not a huge resort, which gives you the feeling of a homestay. Staff is friendly and accommodating, they are known to learnt customers names quickly and ensure that everything is personalised. You might not need many clothes during your stay, as guest are provided with robes that they can always wear around the property. There is a laundry service and clothing are returned within 24 hours. Towels are provided by the pool; all guests are given a basket to carry around their possessions. There are a large range of optional activities, like morning yoga or a large variety of spa treatments. Guests are welcome to do as much or as little as they like. The activities have a strong wellbeing focus, for instance the art class have elements of an art therapy sessions. Guests are encouraged to slow down and nature themselves physically, emotionally and spiritually. Visitors are provided with a handwritten schedule at dinner for the follow day. This includes details of optional activities and the pre-booked day spa treatments. It is a common destination for solo travellers, there is a communal table for guests to sit at if they wish to meet others, but it also fine to sit by yourself and read over meals. Rooms are serviced daily with fresh flowers and ample towels. Sunscreen and bug repellent are available in the outside areas. A provided car can be hired for two-hour blocks at a time. If guests wish to do more extensive exploring of the local area, they can book a shuttle to Byron Bay. However, you might find that you do not want to leave the retreat grounds as you will find yourself so relaxed. Gaia Retreat is an overall relaxed experience of understated luxury, the location is just 15-minute drive inland from the popular seaside resort of Byron Bay. Easily accessible by car from Brisbane airport. Our recommendation is to stay for at least 5 days in order to fully relax and re-set. 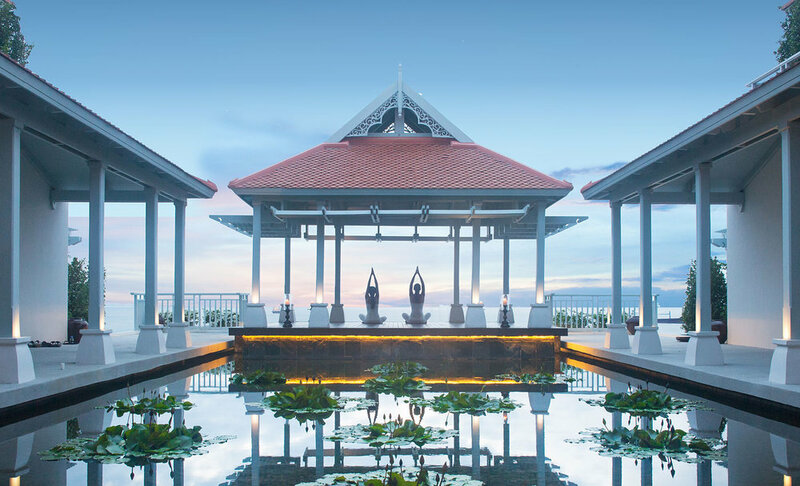 Amatara Wellness Resort includes health and wellbeing programmes, their detox retreat is an opportunity to feel rejuvenated and revived. They propose a professional guided detox package that combines detoxifying spa treatments and private yoga classes to restore your inner balance. Through a gentle cleansing diet, specific supplements, and treatments that support the body’s natural elimination processes. They propose a comprehensive, effective yet gentle programme, utilising a combination of tried and tested therapies, including juice cleansing, colon hydrotherapy, and Ayurvedic, Thai and signature Amatara treatments. The benefits of this programme are feeling lighter and more energized, kick-start weight loss, improve metabolism, clearer skin, reduce appetite and food cravings, improve digestive function, reduce inflammation in the body, refresh the mind and release stress. Amatara Wellness Resort for me was the perfect blend of Holiday meets Wellness retreat. This beautiful resort has breathtaking views of Andaman Sea from luxurious villas and a vast infinity pool. This retreat was one that I attended with my daughter and friends so for those mums looking for a combination of escape and wellness combined with a kids club and time with family there is really nothing else like it in Asia. The Spa Center here was truly incredible, the best I have seen thus far with an extensive and varied range of treatments on offer. There are daily activities included for you to join and the view from the Yoga Pavilion was to die for. The property offers two main restaurants and then a restaurant dedicated to guests on a wellness programme service healthy good choices. This property is my pick if you are looking for a casual blend between “retreating & holidaying”!! A must do is the 105 Minute Thai Hammam Experience….WOW! This peaceful detox escape is just 45 minutes away from Phuket’s airport. They suggest a luxury transfer to arrive to their location, this transfer has an iPad, WiFi, several movie options and cold drinks. So, you can already feel completely at ease from the same moment you land in Phuket. The place, Como Shambhala, is a health retreat embedded in the Bali jungle. Settled on top of the flowing river of Ubud, away from the development in the South, surrounded by jungle, waterfalls and rice fields, a perfect location to disconnect from the chaos of the world. What can I say about this divine property, other than it has captured my heart. This is those places that you wish to return to time after time. The property is structured that you can just come and enjoy the daily included activities and stunning surrounding or you can choose to partake in one of their tailored wellness programmes. Just stepping into this property brings a sense of calm and serenity, set perched high over the Agung River and surrounded by lush greenery, sprawling rice paddies and palm trees. Other than the beautiful surrounds, bespoke treatments a highlight of this property is the healthy and delicious cuisine. For those looking for a luxury retreat with flexibility to tailor your stay this is the perfect property. Specialists in yoga, Pilates and qigong. They offer several wellness programmes, ‘Cleanse' is the one for those seeking wellness from the inside out. This intense detox programme lets you to purify your body of toxins. Starting from three nights, this retreat is about solitude, silence, rest, sleep, balanced eating and a lot of time and space to just be. Their amazing team of health experts includes an Ayurveda Doctor who can give advice on nutrition, yoga therapy and osteopathy. This detox scape is to help guests make informed life changes that will last well beyond their stay. The programme includes 2 nutritious meals per day, 3 treatments, daily yoga, a consult with a health practitioner and a personal butler. Located in the Northern part of the idyllic island of Bali, you can take a direct flight every day of the week to Bali Denpasar. In just over an hour from the airport, the resort car will transport you to your luxury sanctuary.